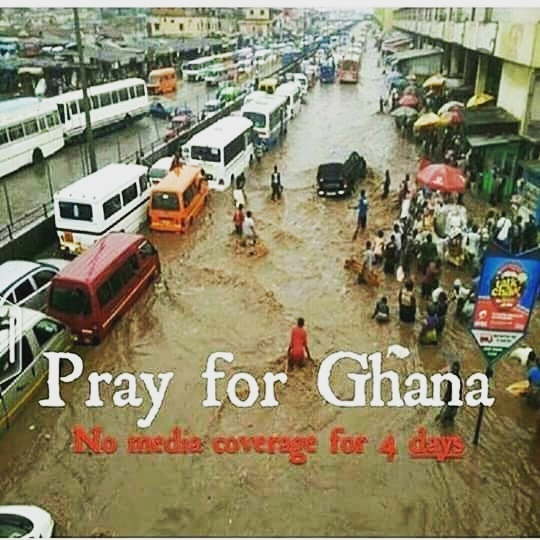 In the past four days huge amount of rainfall has flooded the streets of Accra, the capital city of Ghana, west Africa. Reportedly killing between 10-12 people, so far in the southern regions of The small nation. 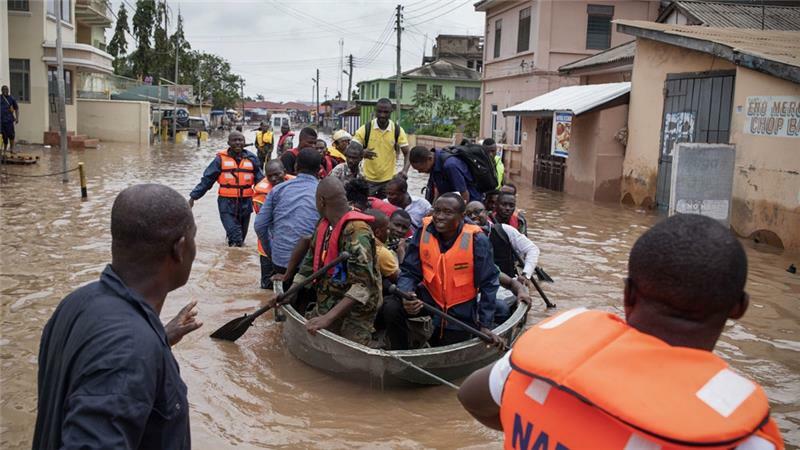 Rescue workers in the Ghanaian capital of Accra. It has been reported that 185mm of rainfall dropped on the capital on sunday, which is about the annual average for June.